Are you one of the more than 18 million American adults who suffer from sleep apnea? Are you constantly waking up in the night, or do you wake up from a full night’s sleep feeling absolutely exhausted? If you’re struggling with sleep apnea, there are several devices out there that can improve your sleep quantity and quality. Read on to learn all about the different kinds of sleep apnea devices you can try today. We’re also sharing some great information to help you decide which device is right for you. Sleep apnea is a medical condition that is characterized by frequent and chronic cessation of breath while one is sleeping. Sleep apnea occurs when the muscles in the throat, mouth, and airway become too relaxed. This relaxation prevents air from getting to the lungs and causes you to stop breathing. If you’re experiencing any of these symptoms on a regular basis, it’s very likely that you’re suffering from sleep apnea. Obstructive Sleep Apnea, which occurs when the upper respiratory tract becomes completely blocked while you sleep. Central Sleep Apnea, a neurological issue that occurs when the brain temporarily stops communicating with the muscles that responsible for controlling the breath. Complex or Mixed Sleep Apnea, which combines symptoms of Obstructive Sleep Apnea and Central Sleep Apnea. The type of sleep apnea you suffer from will determine the type of sleep apnea devices that will work best for you. That’s why it’s important to work with a sleep specialist to figure out how to treat your condition. A continuous positive airway pressure device, also known as a CPAP device, is probably the most frequently used device for people with all types of sleep apnea. But, sleep experts believe it is better suited for those with Mixed Sleep Apnea or Obstructive Sleep Apnea. 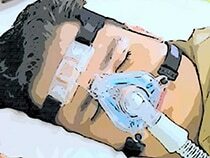 A CPAP device works by sending pressurized air from the machine itself to the user’s lungs through a flexible tube and mask that fits over the nose and (sometimes) mouth. The continuous flow of air allows the user to keep breathing and sleep more deeply throughout the night. 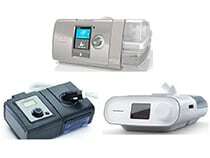 Many people find CPAP devices to be effective. But, they can be difficult to get used to since they’re somewhat bulky and noisy. A Bilevel Positive Airway Pressure device, also known as a BPAP device, is similar to a CPAP device. But, it has two pressure settings to choose from. 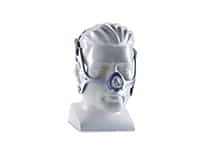 Some people prefer the BPAP device to the CPAP device because they find it more comfortable to wear. BPAP devices can also work better for people who suffer from Central Sleep Apnea and more severe forms of Obstructive Sleep Apnea. It’s also helpful for those who need assistance breathing throughout the night (e.g., people who suffer from severe illnesses of the lungs and heart, such as congestive heart failure). Adaptive Servo-Ventilation, also known as ASV, is a non-invasive option that is particularly beneficial to people who suffer from Central Sleep Apnea. People with Obstructive Sleep Apnea can also benefit from it, though. Adaptive Servo-Ventilation allows the user to adjust the pressure of the device to adapt to their specific breathing patterns. There is less discomfort with this device since it’s always changing to meet the user’s needs. If none of these machines are appealing to you (or if you’ve tried them and feel like they don’t work), oral appliances might be a better option. Oral appliances are similar to a retainer that you would wear while you sleep. Instead of straightening your teeth, though, these devices push the lower jaw (mandible) forward. The purpose of this is to keep your airway open and prevent your muscles and tongue from collapsing and stopping you from breathing during the night. 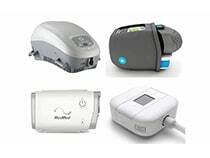 Oral appliances work best for people with mild to moderate forms of Obstructive Sleep Apnea. 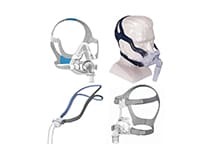 Some people also wear an oral appliance while using a CPAP device with reduced pressure. This helps make the CPAP device more comfortable. 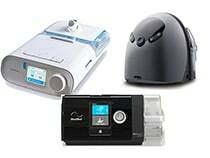 These sleep apnea devices can all be highly effective in treating sleep apnea and helping you get a better night’s rest. If none of the devices seem to work for you, though, you have other options. The following therapies are also great alternatives that will help you eliminate your sleep apnea symptoms. Being overweight or obese significantly increases your chances of experiencing sleep apnea. In fact, more than 70 percent of those with obstructive sleep apnea are either overweight or obese. If either condition applies to you, you may want to look into weight loss to improve your sleep apnea. Talk to your doctor to establish a healthy, sustainable plan to lose the weight and see if that helps you sleep better. For people who only have mild sleep apnea, nasal decongestants can dramatically improve their condition without the use of bulky or uncomfortable devices. Changing the way you sleep can also be helpful. Many people who snore or struggle with sleep apnea also sleep on their backs. This makes them more susceptible to airway blockages. To avoid this, try sleeping on your side instead. If you’re having a hard time making the switch, try placing a tennis ball in a sock, then pin that sock to the back of your shirt when you go to bed. This will stop you from rolling over onto your back during the night. It should be noted that positional therapy typically only works with people who have mild sleep apnea. Now that you know more about the different kinds of sleep apnea devices — as well as other treatment options — it’s time to decide which route you want to take. Do you want to learn more about how to treat sleep apnea and finally get the quality sleep you’ve been missing? Check out some of our other free online resources for additional information. Have a specific question you want to have answered? Don’t hesitate to reach out and contact us today!